This year’s RSPB Big Garden Birdwatch saw residents at Care UK’s Highmarket House in North Bar Place well prepared, with bird feeders filled and binoculars in hand. Residents took part in a variety of activities related to our feathered friends, including making and decorating their own bird boxes, plus creating bird food and cakes to attract even more wildlife into the home’s gardens. 2019 marks the 40th anniversary of the RSPB Big Garden Birdwatch, which encourages people nationwide to count the birds in their gardens to allow the charity to monitor trends and understand how different species are doing. Data from over half a million people is then compared year-on-year to provide a ‘snapshot’ of bird numbers across the UK. 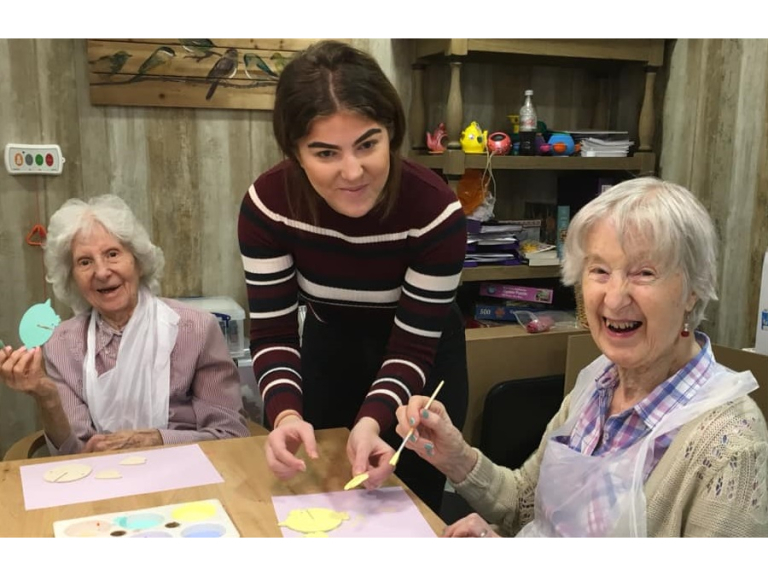 Julia Joy, home manager at Highmarket House, said: “The residents had a fantastic weekend painting bird boxes and taking note of all the wonderful birdlife that visited the garden. “The sights and sounds provided brilliant conversation starters, which for many sparked fond memories of their younger years, so it was lovely to be able to reminisce, and hear residents and team members sharing stories. Highmarket House is a state-of-the-art care home which provides full-time residential, dementia, nursing and short-term respite care. The home, which features 73 ensuite bedrooms, has been designed to enable its residents to live active and fulfilled lives, while also promoting independence. The care home incorporates space for hobby and leisure activities and includes its own cinema, hairdressing salon and café.